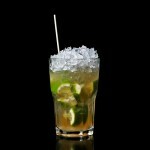 Fight Club drink recipe made with Ice,Lime,Sugar,Vodka,. How to make a Fight Club with all the instructions and ingredients. Crush Lime, sugar. Add crushed ice and fill the glass with vodka. Cat Fight View This Recipe! Bull Fighter View This Recipe! Mexican Gun Fight View This Recipe! Cabana Club View This Recipe! Racquet Club View This Recipe! Racquet Club Cocktail View This Recipe! Clover Club View This Recipe! Clover Club Cocktail View This Recipe! Club 73 View This Recipe! Club Beam View This Recipe! Club Cocktail View This Recipe! Club Cuba View This Recipe! Club Haus View This Recipe!